Here are two former Wall Street Investment Bankers from the New York/New Jersey area that for over 25 years would never even consider network marketing. They've been approached dozens of times and would always laugh and say no. But something "clicked "about 5 1/2 years ago, maybe the timing was just right or maybe it was the new technology that made the business seem simple, but they dove in 100%. 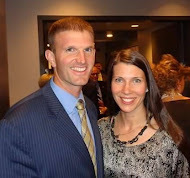 These guys went from being super skeptics to network marketing pros within months. They are maybe the only of people in the entire industry to ever create a six-figure monthly residual income in less than one year with no real prior experience. In the last five years they've made over $16 million in residual income and have inspired thousands to reach their dreams.